All visitors must be off premises by dusk, no exceptions. *Groups wishing to visit the Discovery Room must make reservations. Tuesdays — Fridays, the Discovery Room may be closed during the day for scheduled school programs. Please call 713-681-8433 to check availability. Dates listed in italics indicate grounds and building closure. Parking is available at both the 610 Entrance and the Woodway Entrance. Parking on the Arboretum grounds is extremely limited and fills up quickly on weekends. School bus parking for School Tours is available on the 610 Parking Loop. Starting in early 2019, paid parking will be instituted at both the Woodway and 610 Parking Loops. When will paid parking start? 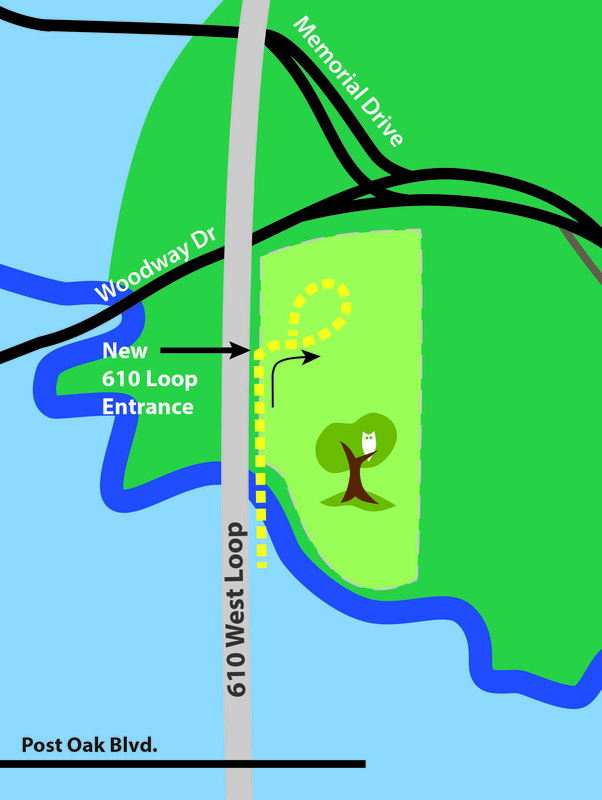 Paid parking at the Woodway and 610 Parking Loops will begin February 1, 2019. Parking fees will be $1 per hour or $5 for the whole day, plus a small transaction fee, and can be paid via credit card at the parking meters or through the ParkHouston app, available for Apple or Android devices. How do parking fees help the Arboretum? All revenue from parking fees will go directly back to the Arboretum to continue to restore much needed native habitat and provide nature education experiences for Houstonians and out-of-town visitors alike. The Arboretum does not receive tax money for maintenance and operations, so these funds will help keep the Nature Center and trails free and open to the public daily. Arboretum members will receive free parking. Additionally, there will be free parking on every Thursday throughout the year. To become a member, please visit our Membership page. I have a disabled parking placard or license plate – can I park for free? No – per City of Houston policy, all individuals with a disabled parking placard or license plate must pay for parking while parking in a metered parking lot. For assistance with the parking meters or ParkHouston app, please call 713-840-7275.